Goldwater’s nomination to head the Republican presidential ticket in 1964 drew wild enthusiasm from the Hollywood Right and Republican celebrities. Yet, behind the scenes the California Republican Party was deeply divided between the hard-right and moderates. The bitter divide within the California Republican Party manifested itself during the state primary that pitted conservative Goldwater against New York governor Nelson Rockefeller. 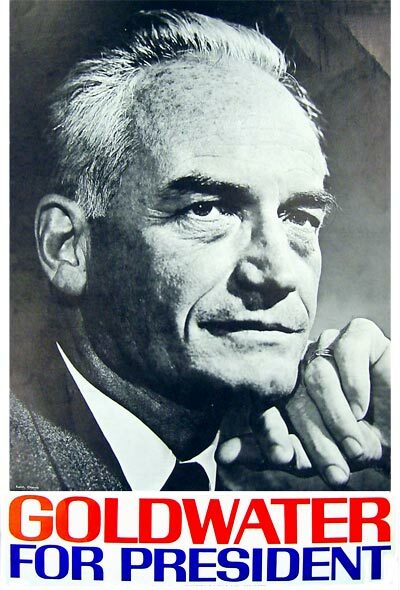 Goldwater’s nomination to head the Republican presidential ticket drew wild enthusiasm from the Hollywood Right and Republican celebrities such as John Wayne, Randolph Scott, Roy Rodgers, Robert Stack, Efrem Zimbalist Jr., Raymond Massey, Rock Hudson, and many others. Yet, behind the scenes the California Republican Party was deeply divided between the hard-right and moderates. The bitter divide within the California Republican Party manifested itself during the state primary that pitted conservative Goldwater against New York governor Nelson Rockefeller. The battle between Goldwater and Rockefeller is often depicted as an ideological struggle within the Republican Party, and there is much to be said for this characterization. But it does not tell the whole story. State Republican leaders who lined up for Rockefeller or Goldwater in the June 1964 California primary did not fall always or easily into set ideological niches. In fact, many of the Republican big-wigs, such as Justin Dart (founder of Rexall Drugs), Leonard Firestone (heir to the tire manufacturer), and Caspar Weinberger (later Secretary of Defense under Reagan), threw their support to Rockefeller in the primary instead of Goldwater. What is perhaps even more surprising is that the conservative Los Angeles Times endorsed Rockefeller in the primaries. Dart, Firestone, Weinberger and the Los Angeles Times later became Reagan’s greatest supporters when he ran for governor in 1966. They were on the right-side of the political spectrum, but refused to support Goldwater in 1964 because of internal factional politics in California. Their problem with Goldwater had much to do with Southern California right winger Joe Shell, who was given a prominent place in the Goldwater campaign in California. For political players such as Dart, Firestone, and Weinberger, Joe Shell and his right-wing cronies represented the forces of both extremism and divisiveness in the Republican Party. Shell had challenged Richard Nixon in the Republican primaries for governor in 1962, and then after he lost the nomination, he refused to endorse Nixon. When Nixon lost the general election, many within the Republican Party blamed Shell. Later voter analysis showed that this was not the case, but it remained a common belief within many Republican c ircles. Factional divisions worsened after the 1962 election, when Shell organized the hard-core right including members of the John Birch Society to purge “moderates” in the California Party. Shell’s insurgent movement gained control of the California Young Republicans and tried to gain control of the California Republican Assembly (CRA), a major grassroots organization. Seeking to fend off Shell and his allies, allies moderates formed within the CRA what they called the FAB Society—“F*** a Bircher.” The fight within the CRA was a prelude to a hotly contested Republican primary in the state. Concerned about the hard-right’s ties in the Goldwater primary campaign, Dart and Firestone decided to back Rockefeller. The issue was not ideological: Dart and, to a lesser extent, Firestone, were conservatives; both had spent exorbitant amounts of money and energy rebuilding the party in the state, and they were not about to have their efforts destroyed by what they saw as right-wing yahoos. Dart’s and Firestone’s endorsement of Rockefeller in this heated primary split the Southern California money interests that had hung together throughout the 1950s. When Goldwater won the California primary by only about 68,000 votes, Dart and Firestone, as well as most other Rockefeller supporters endorsed Goldwater, but hard feeling remained. In the general campaign, charges of extremism continued to haunt Goldwater. On Election Day, incumbent president Lyndon Johnson won a landslide victory. Johnson swept California. Nearly a quarter of Republican votes in the state were cast for Johnson. As disastrous as the Goldwater defeat was, two successes emerged from the 1964 campaign, both coming out of California. 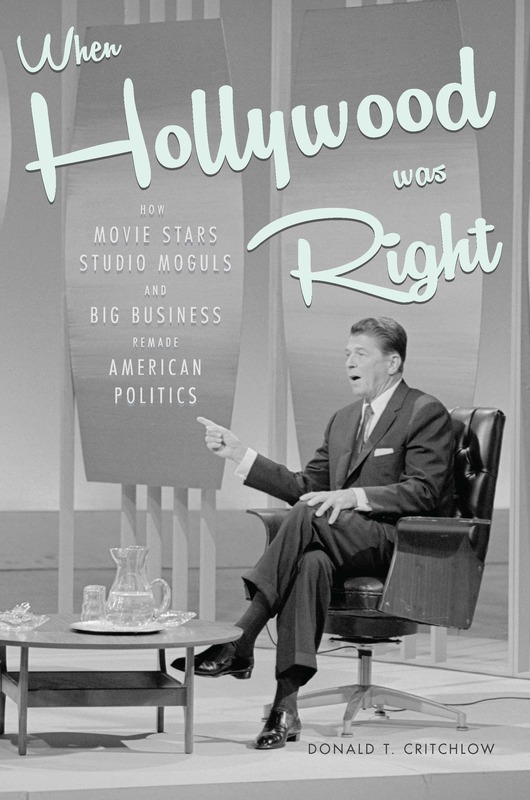 Actor George Murphy’s election to the U.S. Senate and Ronald Reagan’s rise in politics, which would take him to the governor’s mansion in 1966 and eventually to the White House. This proved to be the Hollywood’s greatest triumphs. In the end, the Hollywood Right and California Republicans learned that politics is sometime really about politics and not about ideology. Having a candidate who could win election was more important than just having an ideologically pure candidate.